The late 60’s and early 70’s saw an emergence of experimentation in education. During that period in education history, more than 2,000 alternative schools sprouted up around the United States. Many of these “free” schools died on the vine, closing within their first couple of years. One that survived was the project of a few daring families who wanted something different and better for their children. From those early days in North Avondale’s Mitchell mansion, with vision, hard work, and a pervasive spirit of community, came the treasure still known as The New School. The New School was founded in 1970 by a group of parents, teachers and community members. The school pioneered Montessori education in an all-day setting, and has since served as a standard for academic excellence. Working with the founders on this project was Hilda Rothschild, Professor of Education at Xavier University, student of Dr. Maria Montessori and founder of the first Montessori teacher education course at XU. In 1978, The New School received formal accreditation from the state of Ohio. In 2004, The New School received formal accreditation with the American Montessori Society and the Independent Schools of the Central States. Membership is maintained in the Ohio Association of Independent Schools. In 1970, The New School was founded by a group of parents and educators who wanted to provide all-day Montessori education for children, ages 3-12. Initially aided by Hilda Rothschild, Professor of Education at Xavier University and a student of Maria Montessori, The New School established multiage group programs for 3-6 year olds, 6-9 year olds and 9-12 year olds. With the foresight to serve today’s working parent, a full day childcare program was developed. The “founding mothers” of The New School were Jan Henry and Joan Wyzenbeek, two friends who wanted to start their own school because they weren’t satisfied with the existing options. They talked about it, with their husbands Tom and Andy, for a year before they finally decided to do it. As of June, 1970, with school scheduled to start in September, they had no building for the school. Then in July, 1970, the Archdiocese of Cincinnati agreed to rent the Mitchell Mansion to The New School for the princely sum of $1 per year. The preprimary program was Montessori from the beginning, having recruited Carol French-Corbett from the Cincinnati Country Day Montessori preschool to serve as Director of the Preprimary Program. Tom French-Corbett, Carol’s husband, served as the Director of The New School. The “upstairs” or elementary program modeled after and based upon the “Free School” philosophy of A.S. Neill and John Holt. The Bread Club: Once a week, a group of TNS people would come to the school and bake lots of bread which they would sell, gaining a little profit and also providing the staff with good food. Later, this idea was expanded to a Friday Food Co-op, which included not just The New School but also members of the neighborhood. The preschool started as a half-day program but in the middle of the second year, the parent community let it be known that they needed a full-day program. This was the beginning of the Extended Day Program. This brought with it the need for lunch, which in turn created a requirement for some physical plant changes, such as multiple water heaters- one for dishwashing at appropriate temperatures and one for hand-washing. In 1972, the school experimented with a middle school. Three staff members and about 10 students, ages 10 to 13, resided in what is now the second floor Library. Unfortunately, the space was just too small to work. As a result, about three days a week the middle school found other places to go, including parks and a farm in Vevay, Indiana. The middle school experiment only lasted one year. The first formal reading classes in the elementary program began. Its success led to formal math classes in March, 1972. Prior to this, the elementary program was very “free-form,” with a curriculum virtually reinvented every year. Several staff members actually lived in the mansion from time to time. The longest term tenant was Patrick Leedom who worked at The New School from 1970-1976 and lived in the upstairs and attic for five of those years. Patric Leedom was the first full-time “Administrator” or Business Manager from 1972-1974 followed by Linda White from 1974-1986 and then Barbara Gray. 1974: Can You Believe It? Total budget for the school in 1974 was under $100,000, with the total for staff salaries between $35,000 and $45,000. The Mansion’s attic was originally the residence for five of the Mitchell’s servants and some of their children. Later, when St. Thomas Aquinas Catholic school was here, the nuns lived on the third floor. was once paved in blacktop. According to longtime teacher Laura Dawson (1974-1988) the children hammered it into bits and carted the rubble away in little wheelbarrows over several years. In the early 1970’s, a group of elementary girls dubbed themselves the Soul Sisters, (the original name was the Girls Liberation Club). This enthusiastic group had sleepovers at The New School on Friday nights which included spaghetti dinner, pizza at midnight, ghost stories and a big breakfast on Saturday morning. The Girls Liberation Club restarted as girlscan! in 2003.
the Montessori preschool kept the school alive with heavy enrollment (c. 50). The upstairs elementary program struggled at first with enrollment around 30. The Annual Camping Trip was a TNS feature from the start. In the early days, the trip was a week long and more rustic than today. Every spring (and once in the fall), the teachers, students and some parents would drive down to Daniel Boone National Forest to a place called Turkeyfoot. They would leave on Monday morning and return the next Friday. 1975: TNS goes all Montessori. Lunch was a part of the preschool program almost from the beginning. Staffers would “breakdown” the Northroom classroom everyday, set it up for lunch, feed the kids, then rebuild the classroom. Children helped with setup and cleanup. Elementary students brought their lunch until the 1980’s. A group of teachers and students wanted hot lunch, so they organized a lunch group. Each child brought in $2.00 per week and staff members took turns buying food for the week and cooking each day. They would eat in an upstairs classroom designated “The Café.” Since it only took $1.50 per week to feed each child (! ), they saved the extra $.50 and went out to eat once a month. Later, one of the kids suggested they save the money until the end of the year and go to Kings Island. They did and had a great time. 1976: After several years of internal debate, the elementary program finally adopts a Montessori curriculum. 1977: Preprimary teacher Debbie Weinstein joins TNS staff. 1979: Founding teacher Carol French Corbett resigns. 1979: Eric Ellis joins TNS staff. TNS parent and longtime board member John Fleischman builds a reputation for the ghost stories he tells about the mansion. Fall 1979: Robyn Breiman begins as a 6-9 teacher. TNS once housed a woodworking shop called the school workshop. The mission of the shop was to building Montessori educational tools. The woodworking club continued for many years at TNS. In the early years, the school had little money to pay staff. At least three staff members worked for a whole year before they were ever paid. Money was so tight that the salary plan was based on need: staff members who had families were paid more than single staff members because they needed more money to get by. After a few years, a formal salary structure was adopted. Fundraising was the order of the day, rummage sales, light bulb sales, selling candy on Fountain Square or anything to raise money. The basement rooms have always been used for art activities except for a few months when a couple of staff lived in the basement. In the early years, the rooms were called the Blue Earth Workshop that was painted blue and had an image of the earth on the floor and the White Stone Studio which was and still is white. The White Stone Studio was originally a coal bin and had to be scrubbed from floor to ceiling prior to painting. 1980: Beth Barton joins the TNS staff. 1981: Biff Maier is named TNS director. 1984: TNS takes the first step toward home ownership when a group of parent investors purchase the mansion from the archdiocese with plans for the school to purchase the building. The mansion is completely renovated at this time. The school does eventually purchase the building in the late 1980’s. 1985: Annual Giving Campaign starts. Enrollment finally tips 100 in the mid ’80’s. Spring 1986: The school holds a 15th Anniversary Celebration with an early 70’s theme. The first Harvest Moon Festival is started as a “gift from the staff to students and parents. We wanted to celebrate without fundraising,” says Robyn. The idea of a service auction came to TNS in 1986 after it was successfully used in other Montessori schools. The school purchases and renovates the Annex that up until shortly before the purchase was operating as a Catholic parish. At first, no one is quite sure what part of the school will be housed there. Suggestions include a toddler program or a gym. Parents are invited to provide opinions. March 1988: The boiler goes out during a cold snap. Barbara Gray gets a quick lesson in the heating and cooling business. The school is closed for three days while the very expensive repair is made. Growing enrollment leads to need for expanded facilities. Plans for the addition of “The Growing Room” begin, including a capital campaign led by Patric Borders and John Fleischman. The Growing Room, designed by TNS parent and now board chair Paul Mueller, is completed and serves as a lunch and multipurpose gathering room for students. Designed by Paul Muller, this magnificent light was built in part by TNS parents, and installed the night before the dedication ceremony (April 1997) by a group of parents. Jim and Lynn Borgman headed up “The Cartoon Café” fundraiser to support the Growing Room addition. Lynn Borgman and Shawn Dougherty complete and display the Peace Blanket for the first time. Climbers were installed in both the preprimary and elementary play yards. Led by art teacher Robin Hartmann, TNS students of all ages paint “Pig in a Peace Blanket,” a part of the City of Cincinnati’s Big Pig Gig. Our pig is a proud sentinel in front of Newport, Kentucky’s Millennium Peace Bell. Current families, alumni families and former staff gather to celebrate The New School 30th anniversary. the annual spring Arty Gras brings a week-long celebration of arts to TNS with musical performances, art and craft projects, plays and much more. We say farewell to Director Robyn Breiman and welcome to Director Eric Dustman. Four Japanese boys and their teacher Miyoko Wardell spend several weeks in the elementary classrooms in the first of what has become an annual cultural exchange. In the summers of 2004 and 2005, groups from TNS visited the boys in Japan. Dedication of a new, seven-foot-tall, gray granite Peace Pole in a small garden was the highlight of the Harvest Moon Festival. We celebrate Earth Day with an all-school assembly and outdoor chalk drawings. The New School received formal accreditation from the Independent Schools Association of the Central States (ISACS) and the American Montessori Society (AMS). 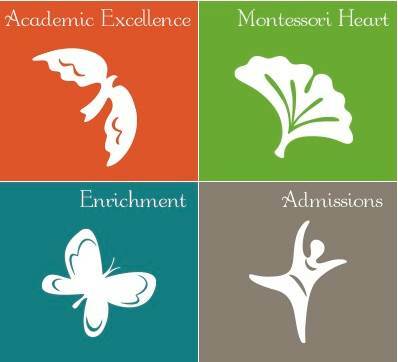 As an added distinction, TNS is the only Montessori school in Cincinnati with both accreditations. Alumni parents and former staff enjoyed a reunion in November while former students and teachers reconnected at a party in December. The Internation-oliday celebration allows TNS community to sample holiday traditions of Buddhism, Christmas, Hanukkah, Kwanzaa, Ramadan, St. Lucia Day and the Winter Solstice. On the last day of school, students aged 3 through grade 5 participate in the Step-up ceremony, an impressionistic way of marking each child’s completion of a year of work. The traditional graduation ceremony followed on the weekend. The Diversity of Sports celebration provided a multicultural focus as students researched games and food associated with the Russian winter festival, martial arts, Aztec sports, golf and adapted sports for children with disabilities.